Barcelona’s Matinee Circuit Festival came to a close at 6 a.m. this morning local time, with the closing party “Sodoma” filling the 3,000-person-capacity super-club Razzmatazz. 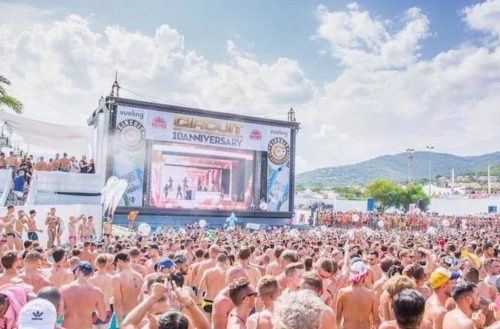 Thousands of men from around the world have been in the Catalan city celebrating the 10th anniversary of the world’s biggest gay circuit festival. 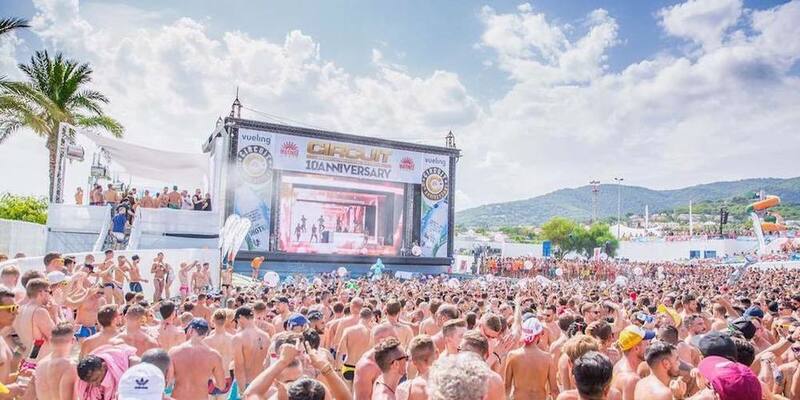 And despite last Thursday’s terrorist attack on the busy Las Ramblas — which killed 13 and injured close to 100 — the mood in the city and amongst Barcelona gay circuit festival partiers has been one of defiance, showing strength and solidarity. “I am not afraid” was the spontaneous chant that rang out in Plaça de Catalunya after one minute of silence at a vigil last Friday afternoon. Spanish media is now reporting that Younes Abouyaaqoud, 22, the man suspected of driving the van which claimed so many lives, has been shot dead as of 6 p.m. local time. Spanish police have yet to officially confirm that. Today is not a day for dancing. In a show of respect and solidarity with the victims, and condemnation for the events on Las Ramblas, the party planned for tonight at Razzmatazz will not be held. Our thoughts are with the victims and their loved ones. Barcelona and what it represents, its citizens and all the people who love this city: we are more united than ever. Circuit Festival will continue as of tomorrow with the planned programme. We’ll continue on stronger than ever. Together, we’re unstoppable. Circuit Festival cancelled the parties that night out of respect for what happened, which I feel was the appropriate response. On Friday, though, it was decided to resume the festival, which I also agree was the right decision. Not letting hate win means moving on with life. Someone commented on my Facebook page that they might not come to Barcelona next year. This certainly will not stop me from traveling to Barcelona or any other city. Sadly these attacks could happen anywhere. But I’m not staying home and worrying. The party Friday night was full of the most amazing energy, and I couldn’t have been happier than to be there in a room full of people celebrating life, not hiding from it.